Icebox cakes are pretty, layered desserts a bit like a trfile. They are a snap to make - assemble in just a few minutes the night before and you've got a beautiful, rich and creamy dessert the next day. This dessert is the essence of simplicity with just 4 ingredients. The magic is a few hours in the refrigerator - transforming those ingredients into sweet, creamy deliciousness. This recipe lends itself to variations too. Try adding a tablespoon of instant espresso powder to the whipped cream for Coffee and Donuts. Or use chocolate covered donuts and drizzle with chocolate sauce. Let your imagination be your guide! 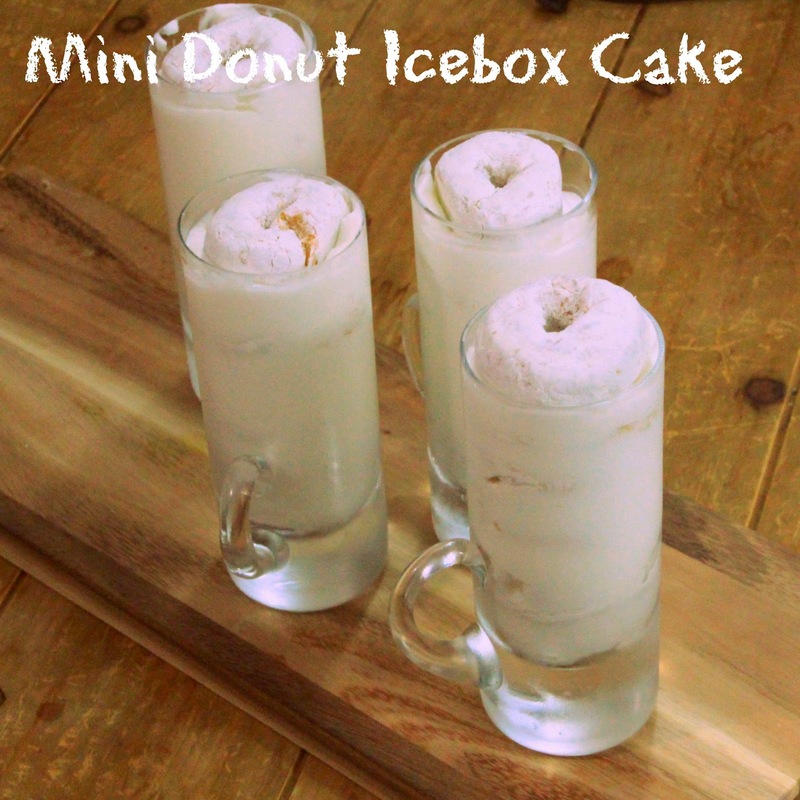 Cut 12 of the miniature doughnuts in half horizontally, using a serrated knife, to make a total of 24 thin donuts. Use the palm of your hand to lightly smash each donut half. Pour the cream into a well-chilled bowl and add the sugar and vanilla. Using an electric hand mixer or balloon whisk, beat the cream for about 3 minutes or until firm peaks form when the beaters are lifted. 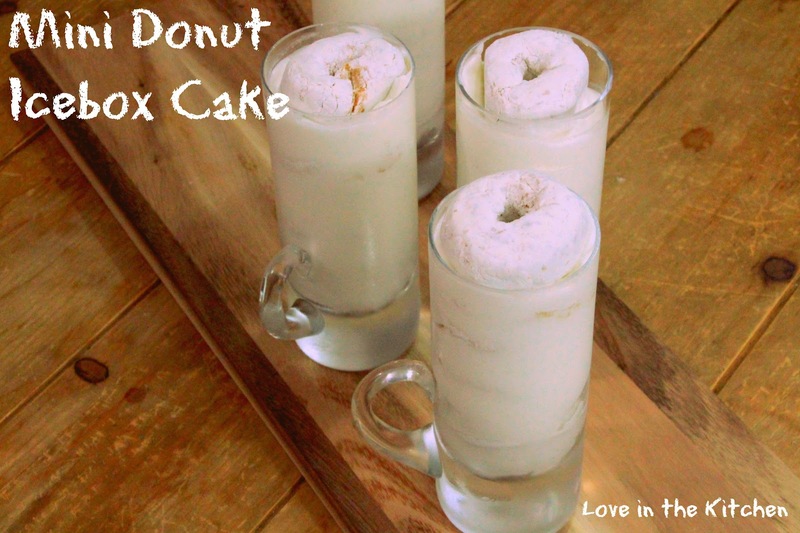 Put 1 doughnut half cut-side down in the bottom of an 8-ounce mug. Top with 2 tablespoons of the cream and spread out into an even layer. Repeat the layering to make 3 more layers of doughnuts and cream, ending with a layer of cream on top. Repeat the layering process in 5 more mugs. 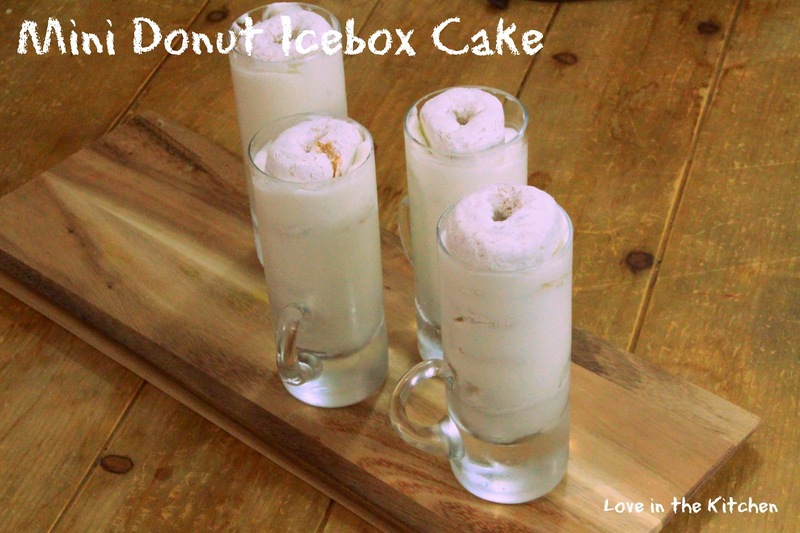 Cover the mugs with plastic wrap and refrigerate 12 hours or overnight to let the doughnuts soften. 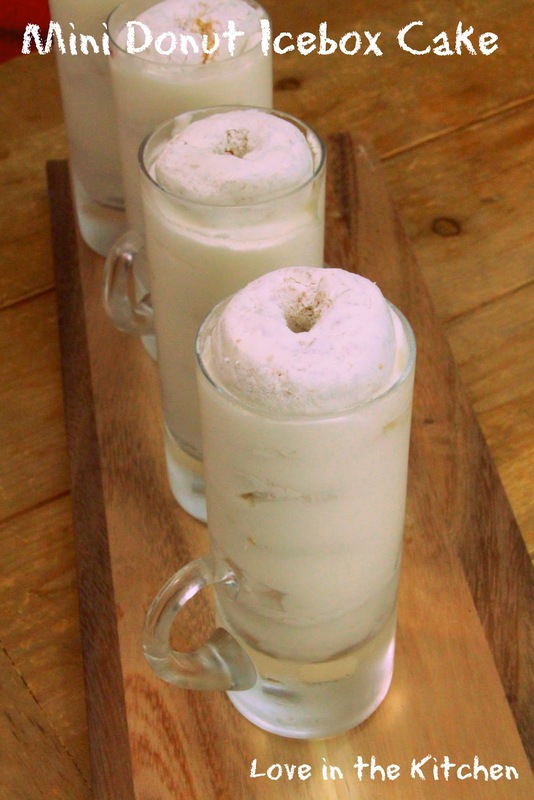 When ready to serve, place one of the remaining donuts on top of each mug and serve immediately.